A giant object passing the Sun has been spotted by Streetcap1 in one of NASA’s satellites photographs on May 22, 2018. There is no visible Coronal Mass Ejection causing this anomaly, but it appears in line of sight on the latest Sun photograph. 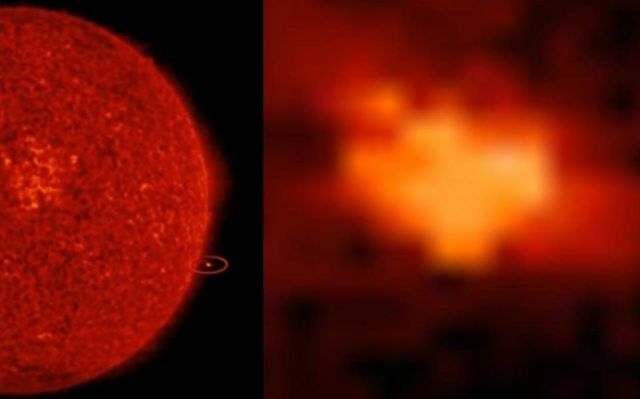 Theory: The object could be much further away from the Sun making it a much smaller object than it really is.